Tiny is in. Tiny houses that is. 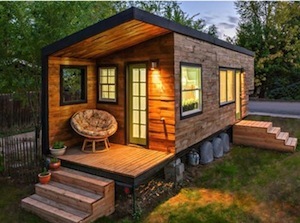 These small, quaint homes are gaining in popularity as homeowners seek alternative lifestyles. While the square footage of these houses is modest, they boast a variety of ways to live large. The key to making each inch of a tiny house count is organization, storage and then more storage. Check out these inspiring ideas for maximizing even the smallest of spaces. Furniture and fixtures that can do double (or triple) duty provide increased function in any space. Couches, beds and lounge pieces offer an easy option for storage, as they have a natural base as part of the structure. You can build in drawers, shelves, cubbies and more. Ottomans and coffee tables also offer great options for additional storage. Padded pieces also can serve as extra seating. Staircases offer an abundance of space underneath for creating storage solutions. 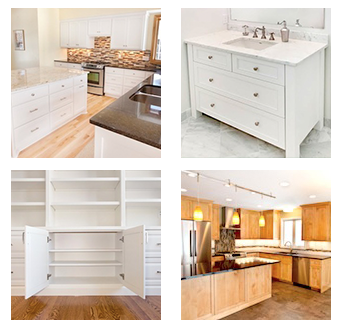 From shelves to custom storage cabinets, the area under your staircase can be transformed to meet your needs. Storage solutions can also be combined with other features to create work spaces, seating areas and even front entry storage. Ok, yes, we know it’s obvious. But who doesn’t love built-in storage? 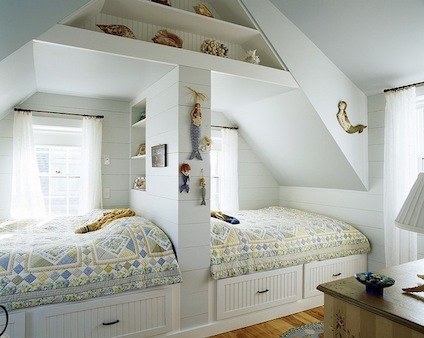 In a tiny house, built-ins can conceal functional features such as desks and extra sleeping spaces. Murphy beds have been around for a long time, and in small spaces they are a popular go-to. These sleep spaces can be seamlessly integrated into custom cabinetry systems that function as living and work spaces by day, and cozy sleeping quarters by night. Tell Us How You Maximize Small Spaces! Have you found smart ways to create storage in small spaces? We’d love to hear your ideas! Leave a comment here, share your pics with us on our Facebook page or send us a message on Pinterest. Feel free to also send us an email or give us a call! You can reach us at 952-737-7088.